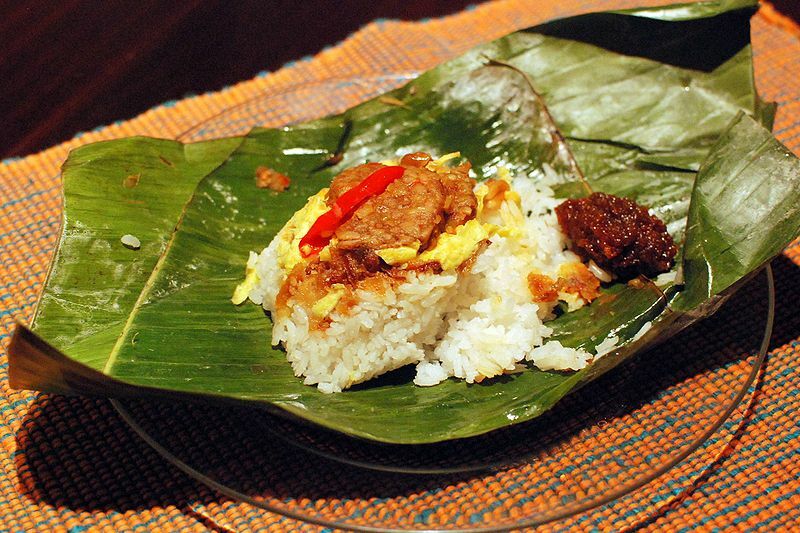 Uduk is an Indonesian style steamed rice dish originally from Jakarta, Indonesia's capital, which can be widely found across the country. It is made by mixing steamed rice with coconut milk (santan), clove (cengkeh), cassia bark (kayu manis), galingale root, lemongrass and ginger (jahe). Left: Nasi uduk, rice cooked with coconut milk. Uduk is often served with limes/jeruk limau, raw cucumber, raw lettuce, raw tomatoes, fried sambal, fried tofu, fried tempeh, fried chicken, beef and offal, which are previously boiled in spicy broth, other side dish such as lalapan, or kangkong can also be added. 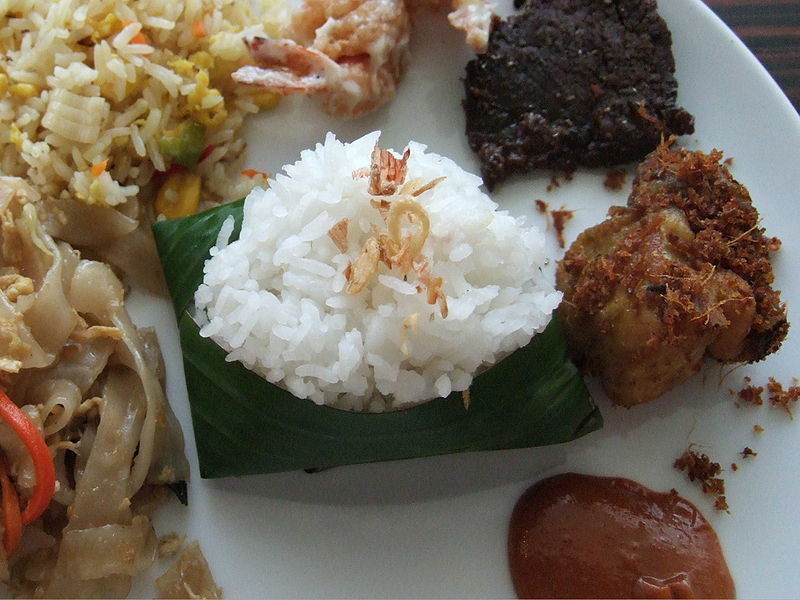 Left: The nasi uduk from the Netherlands. It is wrapped in banana leaf and features fried tempeh (soya bean cake), omelet, serundeng (seasoned and roasted coconut flakes), peanuts, and a dollop of sambal badjak (sweet chilli paste).